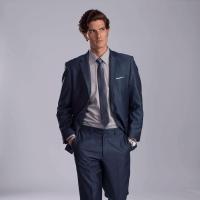 Elegantly tailor, formal sharkskin blue suit. A superior look and quality at an affordable price. Stock suit. Other colors available.